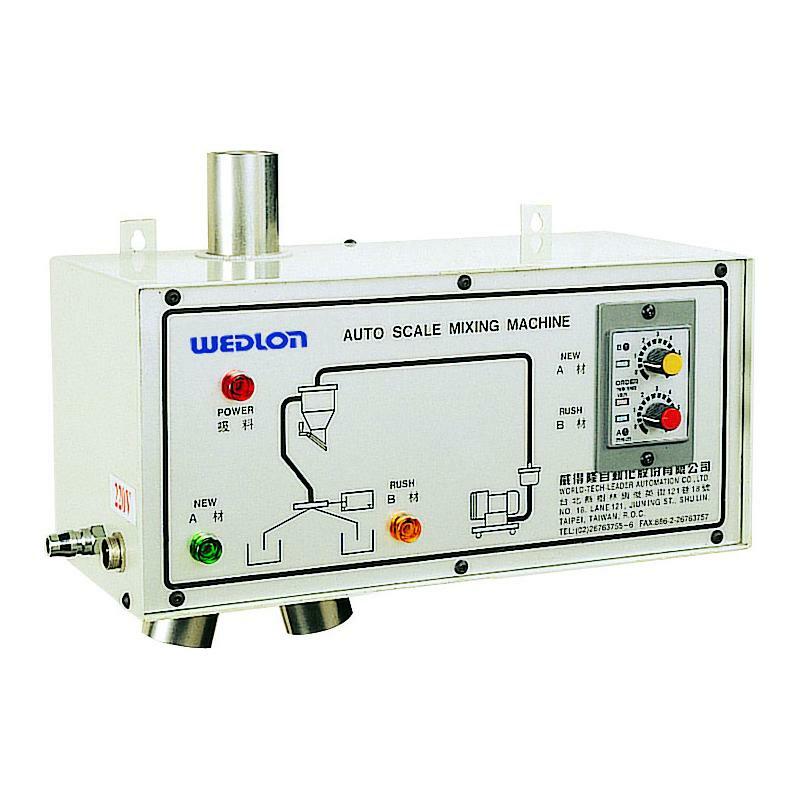 Proportional Mixer for Wedlon Automation Co., Ltd. Matching plastic molding injection machine, blow molding machine, extruded machine and etc. be on line instant recycle by proportional mixing scale. 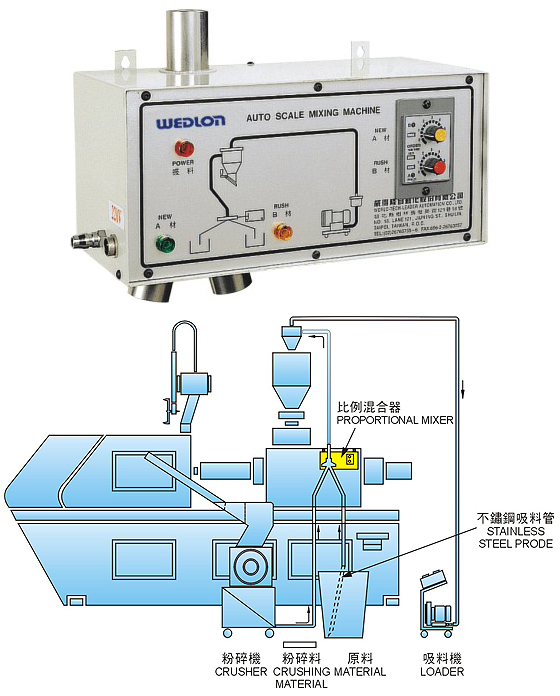 Dual-timer control suitable for proportional mixing of two kinds materials. Multi-purpose crushing: crushed by the machine with material proportionally mixed, crushed by the machine with central feeding material proportionally mixed, new and used materials proportionally mixed.